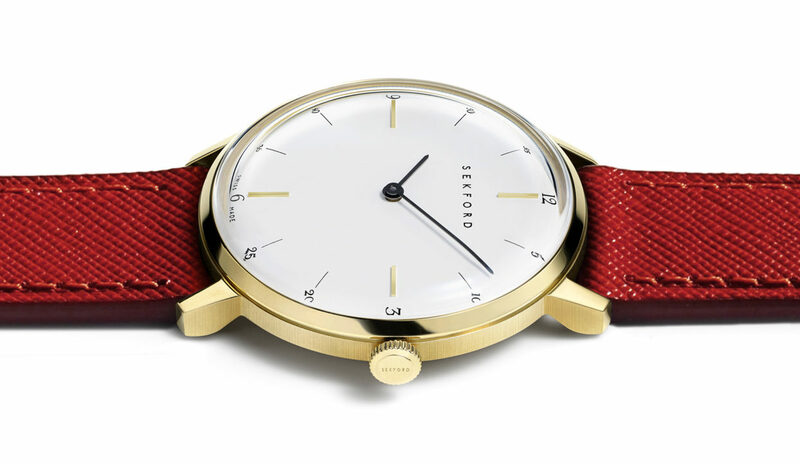 British startup Sekford has added ladies’ models to its Type 1A line up of minimalist dress watches. 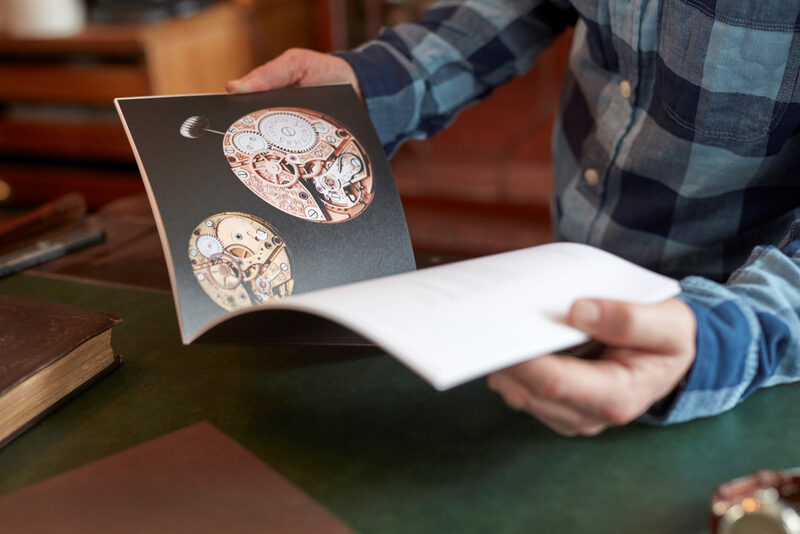 The company, which was founded in 2015, designs watches that draw on historic British codes, such as hair line bespoke numerals inspired by 18th century typographic touches found on British pocket watches. 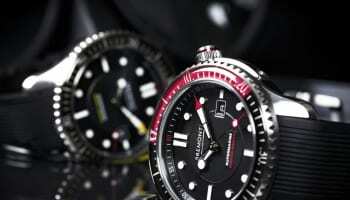 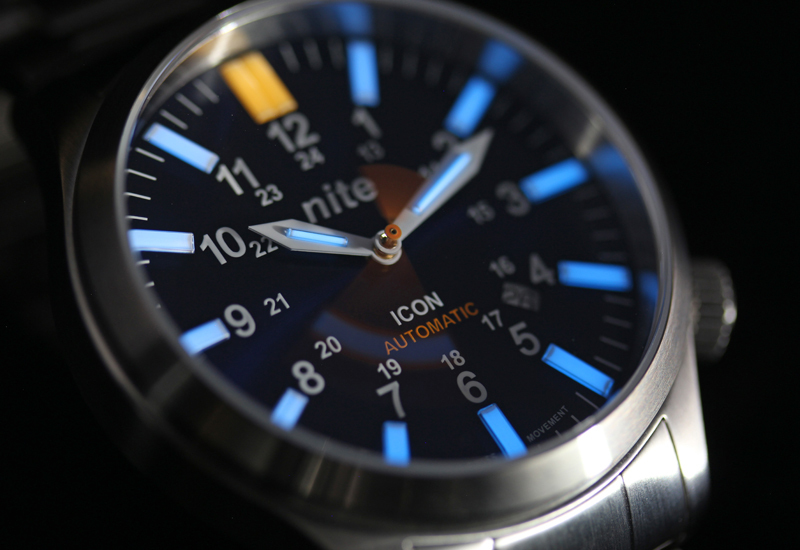 The watches are made in Switzerland. 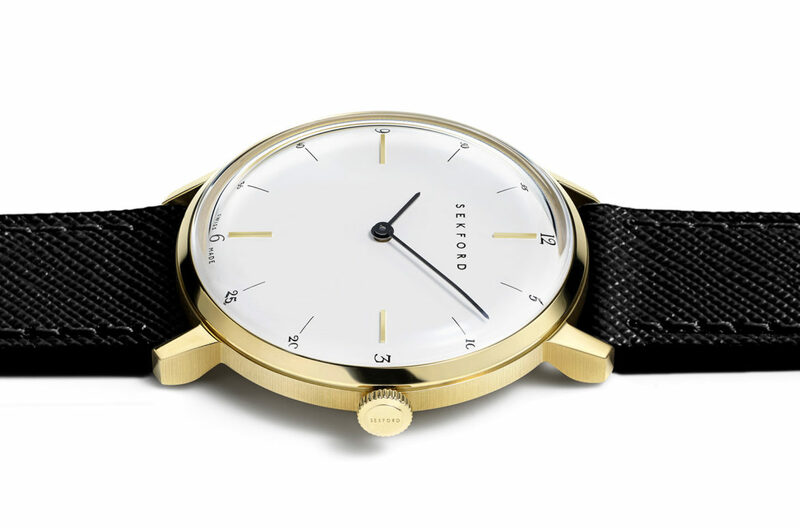 “Inspired by 18th and 19th century English pocket watches, as well as the work of Scottish designer Christopher Dresser and typographer Edward Johnston, the Type A1 embodies the essence of elegant watch design,” Sekford says. 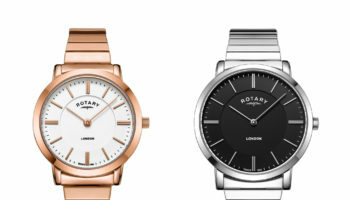 The ladies watches are being offered with coloured high-gloss patent leather straps, a style that Sekford believes was first developed in England in the 18th century. 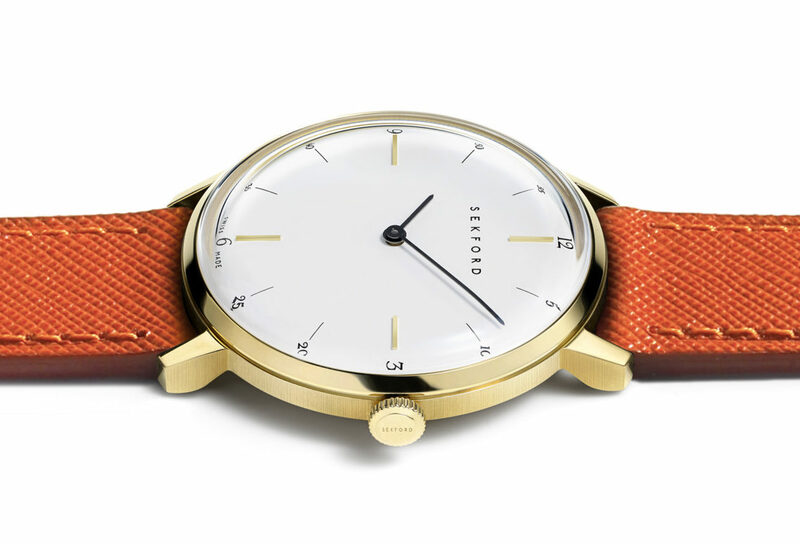 The Type 1A for her in stainless steel or yellow gold PDV is available on red, black, or grey leather straps and on white, blue or grey dials. 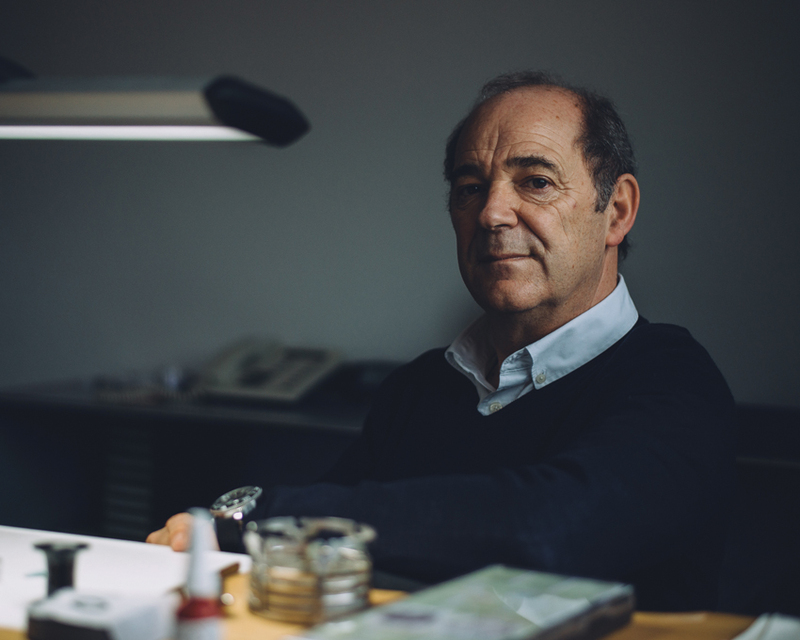 The watches are sold directly online and also at retailers including Mr Porter, Ogden, Selfridges, Goldsmiths, Fortnum and Mason, Harvey Nichols, and Aria.